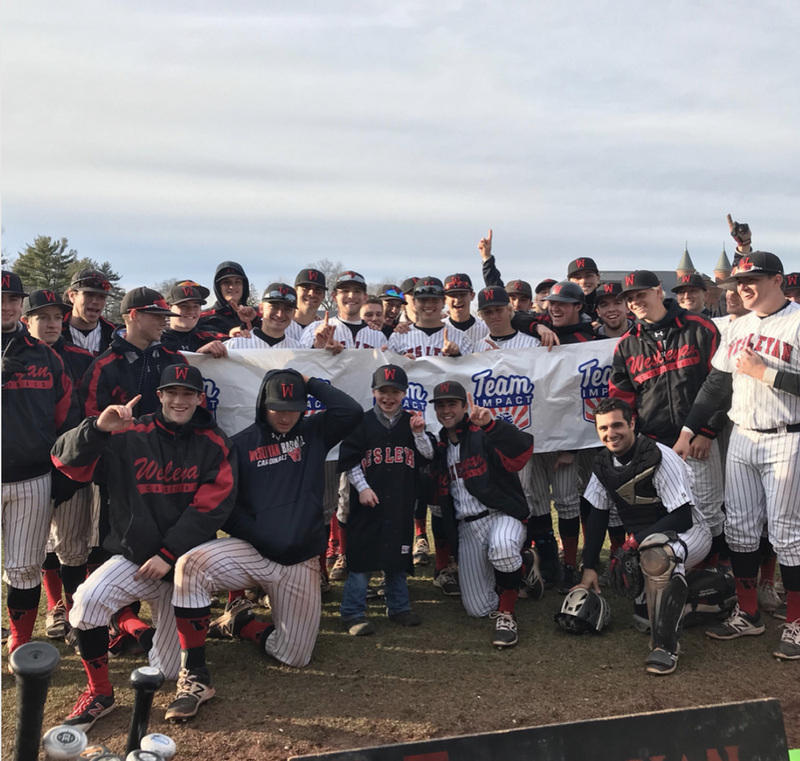 Last Saturday, the University baseball team added a new member to the team. 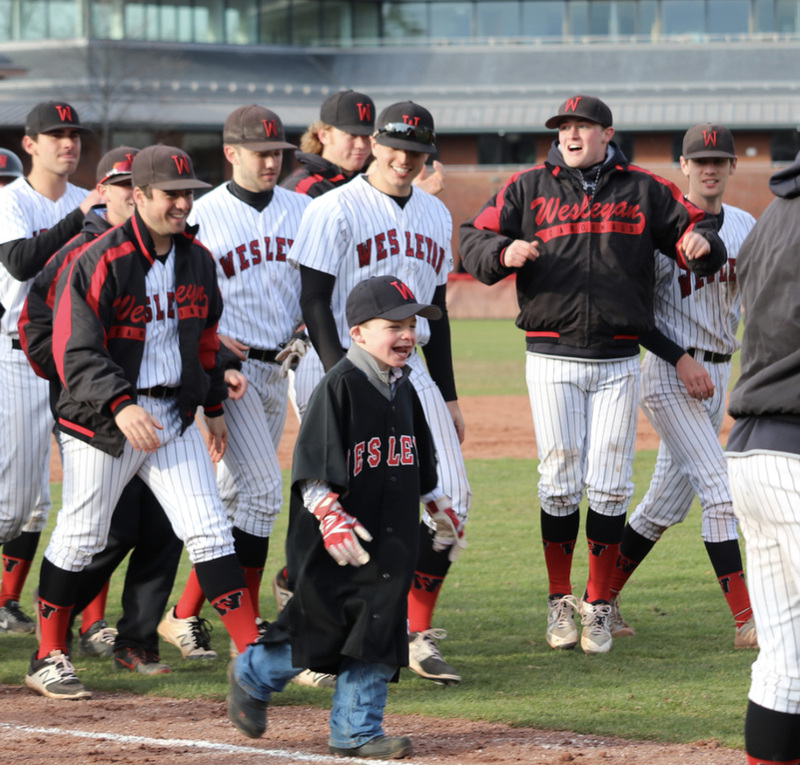 Jake Egan, recruited through the nonprofit organization Team IMPACT, signed his National Letter of Intent to become a member of the Wesleyan Baseball team. Jake played for the Cardinals last Saturday, hitting a home run in his first at-bat. Team IMPACT is a national nonprofit that connects children facing serious and chronic illnesses with local college athletic teams, forming lifelong bonds and life-changing outcomes. They do a wonderful job, as other University teams have recruited and signed young athletes from Team IMPACT. Some members of that team that helped spearhead this project were juniors Ryan Earle, Pat Clare, and Mike McCaffrey, as well as sophomore Tanner Fulkerson. There was a certain chemistry between Egan and the rest of the team as soon as they met. Egan’s smile had an immediate impact on the other players. Egan also happens to be the Red and Black’s good luck charm. Every home game he has attended the Cardinals have been victorious. In addition, there was a moment last Saturday that will never leave the memories of the team. It was truly special to everyone involved. The team has high hopes for Egan outside of his life as a baseball player. The members love his attitude and know that he will bring that same positive energy to other aspects of his life. Baseball, especially for Egan, is more than just a game. What occurred on Dresser Diamond last Saturday was something indescribable. Giving an amazing, talented boy a chance to live one of his dreams is something that words cannot do justice. The players on the Wesleyan team play baseball every day. In practices and games, however, there are rarely times to contemplate how much the game means. Those who do not have this same chance to play regularly learn to appreciate the game more. We wish the best of luck to Egan and welcome him to the University community. We hope to see him at lots of future baseball games and events.